The last time I saw a Shakespearean straight play and musical was either a stage adaptation by Repertory Philippines or a stage translation in Filipino by Tanghalang Pilipino, and I can't even remember when was that? Thanks to Artist Playground in partnership with St. Vincent School, because on its third season they are playing " M Episode. " 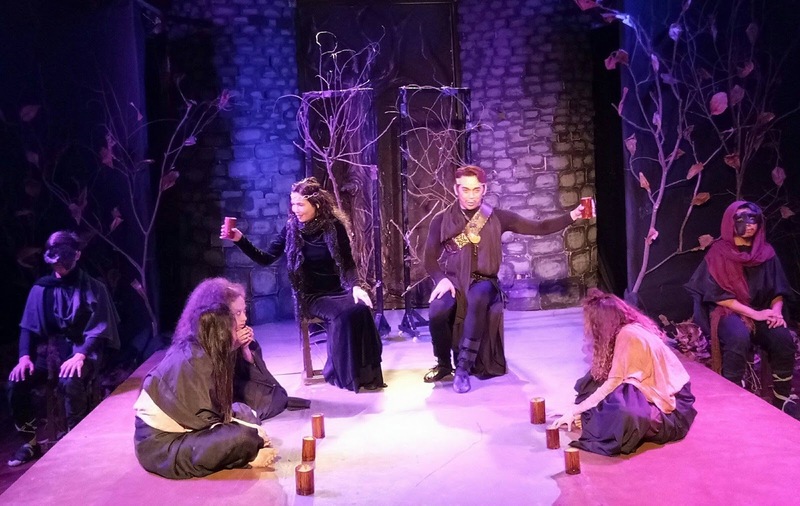 A back-to-back play about Macbeth told during the extravagant Renaissance period. Act 1 begin with James Chalmers' " Prelude To Macbeth " which tackles the story on how Macbeth became Thane Of Glamis and later introduced Lorna Stewart who became his second wife - Lady Macbeth. Cast includes Paul Jake Paule (Macbeth), Jernice Matunan and Mariella Munji Laurel (Lorna), Andre Tiangco (Duncan), Juan Carlo Martin Pacheco and Vincent Pajara (Callum) and Tasha Guerrero, Marjorie Duldulao, Princess Tuason, Kia del Rosario, Jeremy Cabansag and Kathleen Francisco (Spirits 1, 2 and 3). Followed by William Shakespeare's " Macbeth " in Act 2. 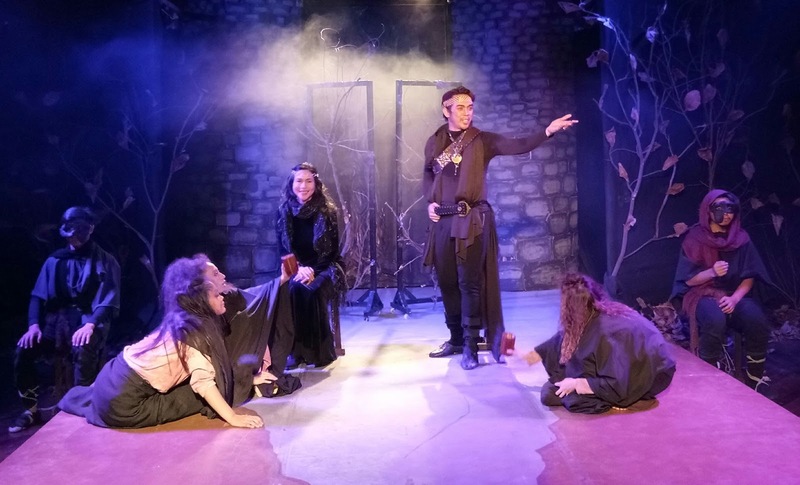 The 400 year old play which has been stage played and screen played multiple times around the world with some of most notable actors on film, television and stage. Cast includes Paul Jake Paule (Macbeth), Mailes Kanapi and Catherine Go (Lady Macbeth), Anjo Resurreccion (Banquo), Mitoy Sta. 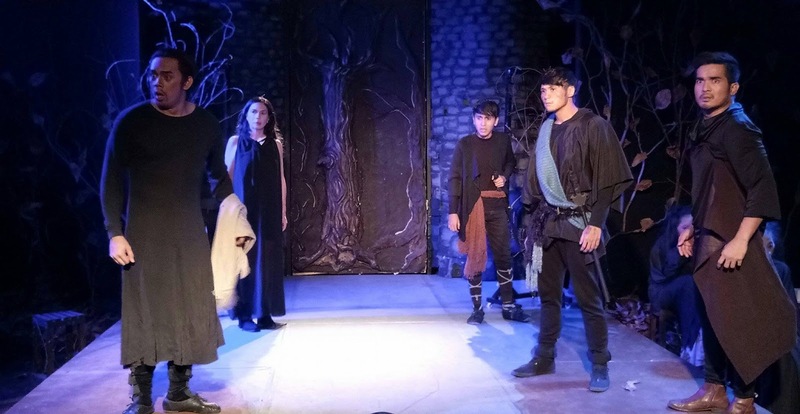 Ana and Andre Tiangco (King Duncan), Al Gatmaitan (Macduff), Vincent Pajara (Malcolm), Dan Sheneill Solis (Fleance), Juan Carlo Martin Pacheco (Ross), Basty Batistis (Porter), Gry Gimena (Lennox), Marjorie Duldulao and Tasha Guerrero (Lady Macduff) and Tasha Guerrero, Marjorie Duldulao, Princess Tuason, Kia del Rosario, Jeremy Cabansag and Kathleen Francisco (Three Witches). 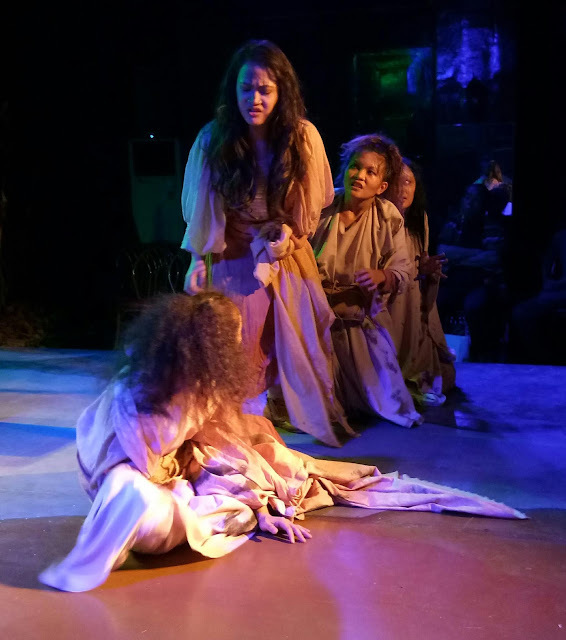 For Artist Playground, I have to credit the two-time ALIW Best Stage Actor Roeder Camañag for directing. The blocking and stage movements of the actors were all visible. I love how the set and stage were maximized by these actors. Putting all the actors in a small scale space was indeed a pro. 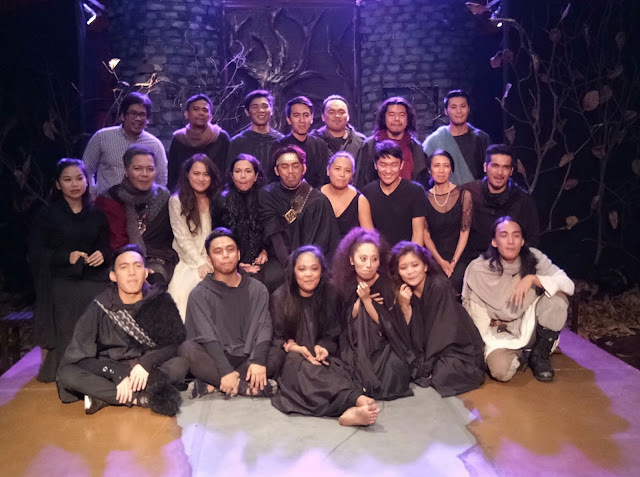 Majority of the actors are neophytes and non-English speakers and it was through Banaue Miclat-Janssen that they were trained specifically through speech and voice. As I was watching this play in two acts, I noticed how the music and score became relevant and appropriate to the show. It was all because of the pianist and known composer of music for dance, theater, film and television Jesse Lucas. Moving and soothing in a way. Catch the performance on Fridays at 7pm (June 16, 23 and 30), Saturday and Sunday at 3pm (June 17, 18, 24 and 25) and Saturday at 3pm and 7pm (July 1). Playing at Artist Playground II Arts Above West Venue Building, 112 West Avenue, Quezon City. For tickets and inquiries, visit www.artistplayground.ph or call 09759193179.